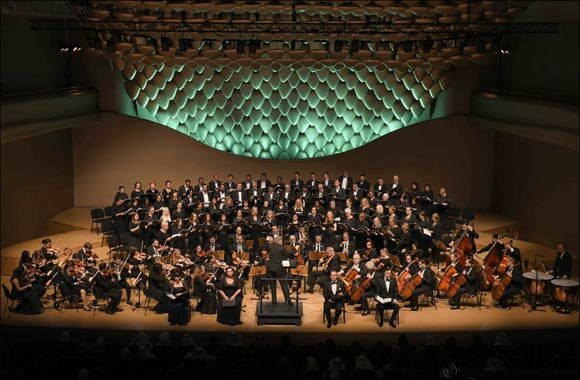 Kuwait, 05 February 2019: Burgan Bank, a leading contributor to the arts and cultural scene in Kuwait, is sponsoring Kuwait’s biggest orchestra comprising of 130 performers from all over the world. Following the success of the first ever classical music performance last year, Ahmadi Music Group returns to present one of Mozart’s most famous symphonies played by international calibers from the UK, Russia and Bulgaria. Driven to support social advancement among all communities, Burgan Bank continues to sponsor one of Kuwait’s most prestigious music and arts organizations for the fifth consecutive year. This year, the respected music group celebrates the work of a legend, led by Maestro Richard Bushman, in one of the largest and oldest musical ensembles in Kuwait. Audiences heard Mozart’s requiem, one of the most influential compositions in classical music and his last masterpiece, in addition to a clarinet concerto. The event was hosted at Sheikh Jaber Al Ahmad Cultural Centre wherein both international and locally acclaimed soloists, including a rising talent from the UK and two more top-level soloists from Bulgaria performed. Also, seated alongside the professional orchestra was a Youth orchestra consisting of eight young players. Ahmadi Music Group’s annual performances constitute a mix of jazz, classical, Broadway, opera and newly-commissioned music of which the members include both seasoned professionals and beginners. Bringing unique experiences for over 65 years with world class musical standards, the internationally famous group continues to inspire and nurture a new generation of Kuwaiti Classical performers.